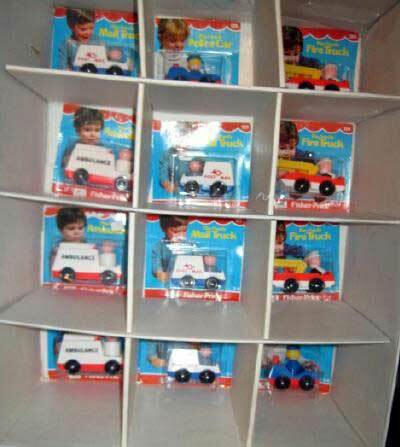 I still have a few of these Little People vehicles kicking around, this display is more awesome because it's filled. And of course, FP was all about the Muppet Show for a good long while, I do remember this header card from department stores back in the day. 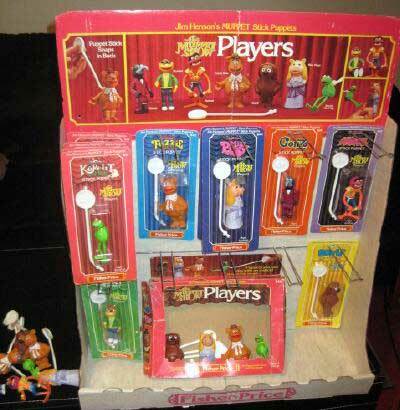 FP's Muppet show action figures are just killer, I had the Gonzo but I honestly never used the little puppet stick it came with. I vaguely remember these, not something I was into mind you. Brian has a lot more store displays up for grabs today including later Little People and Disney's Gummi Bears line. 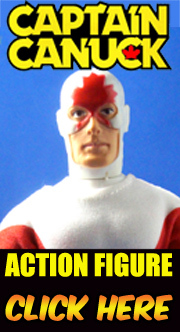 So check out his Ebay Store sometime today for all of the listings. Gosh - Those all bring back memories. Not sure if I had any, other than knowing my brother had a Kermit puppet and we did have a couple of those Muppet figures. Cool stuff. 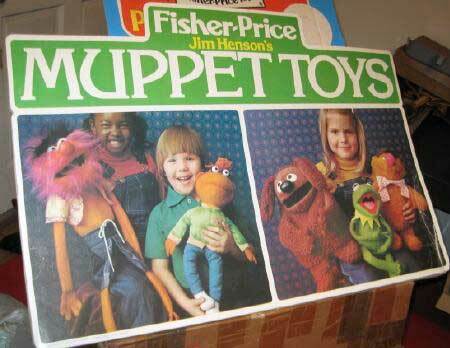 Those Muppet figures were the greatest. I had all but Scooter as a kid and have been lucky enough in adulthood to re-acquire Kermit and Rowlf in my garage sale meanderings! I love the old style FP stuff. I totally forgot about the Woodsy family! What kid wouldn't love one of those today?! 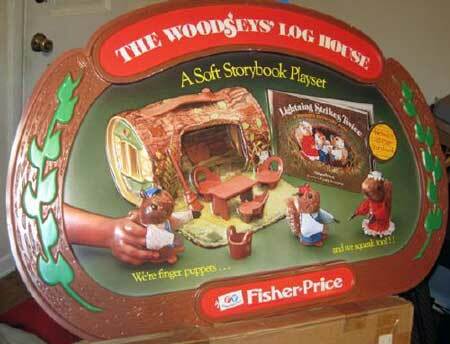 I would have used the Fisher Price playset as Snake-Eyes Cabin in G.I. Joe and shot the hell out of it! I had the Miss Piggy stuck puppet which was also a finger puppet. Muppet Puppets were the bomb! I see these occasionally at flea markets at pretty reasonable prices to boot! I'm with you though.. the puppet stick was quickly cast aside and lost. Great stuff. Had Animal, what was that white stick for? Woah, the Woodseys. You're blowing my mind.